Your home is probably one of your biggest investments, so when it comes time to sell you want to get the highest possible return. CW Interiors are certified staging professionals and experts at creating that lasting first impression that leads to offers. They also offer creative decorating and design ideas for your renovation, or for updating a tired space. MLTDezine is a full service Home staging company that has been increasing property values for over 20 years. We have worked with several top agents and independent clients on homes in a wide price range. As a certified, professional and award winning home staging firm we carry full inventory of high end furnishings and accessories to help homeowners and real estate partners sell properties by increasing the homes' marketing appeal. Home Transitions can accentuate the positive and showcase spaces to illustrate the property`s full potential to the target market. We have been awarded the RESA Top Ten Home Stager 2017 in Canada for both Occupied and Vacant properties and have also been the recipient of the Best of Houzz award for Service for three consecutive years. At Next Step Staging your interests are always the top priority. Helping you take the right steps to maximize the value of your home can start with a Colour Consultation on what and where to paint. Our Home Staging Consultation will suggest where you should reduce your current furniture pieces and where to enhance your space with affordable furniture rentals that can be easily arranged hassle free. Our Home Staging Services offer a turn key transformation that will be sure to bring out the wow effect! Our service will guide you on preparing your home for sale, so you can move to the Next Step. Next Step Staging is eager to help you transform your home to: Maximize your sale price Become more competitive in the market place Help sell your home faster. Interior design, space planning, kitchen design, staging and styling. Specializing in finishing rooms to "photo shoot" readiness. "I love to make sense of spaces." Meet Candace Minifie, the passionate entrepreneur, chief designer, and project manager behind New Nest. Citing her family as her greatest source of inspiration, Candace is passionate about how we make sense of and interact with our spaces. A calm, grounded, and patient person by nature, she is committed to helping clients style their space to bring to life the best version of home. ......because a first impression is the only impression..... Hi, I'm dana. Did you know that only a small percentage of home owners can see their homes objectively. I am here to help sellers give their homes a "makeover" bringing creativity and objectivity, while using limited funds. I come from a long career in business administration and utilize my strong communication, prioritizing and organizational skills in my home staging & redesign business. I took my love of decorating and used it to help home owners and real estate agents sell homes faster and for more money. 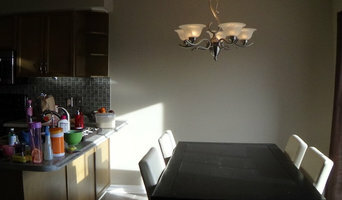 I have learned first hand, with my own properties, the value that is in home staging. I am so excited to take my knowledge and passion and show clients the substantial return from such a minimal investment. ACT1 Interiors is a Durham Region staging company committed to helping you Maximize your homes potential when it is time to sell. As a certified staging professional CCSP®, we create spaces to appeal to the targeted buyer with lifestyle selling techniques. What does a Cobourg home stager do? 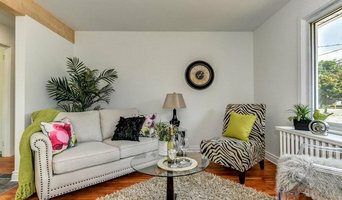 Home staging companies in Cobourg, ON employ a variety of different techniques to present the home in the best light possible. The first step will likely be to make sure the home is impeccably clean, including the exterior of the house. Next the home stager will work on removing the personal touches that are unique to the current owners. Paint colors might go from dramatic reds and purples to neutral tones like beige and taupe, in order to appeal to the masses. The home will likely be cleared of family photos, risqué artwork, collections and knickknacks, so potential buyers will be able to better envision their own life in the house. In some cases furniture will be swapped out, and you might not even recognize your own house. 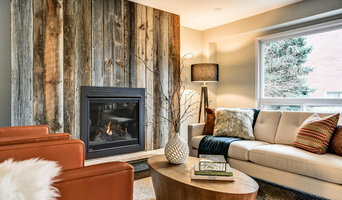 Some Cobourg home stagers tackle most of these tasks themselves, while others work with subcontractors and other professionals to get the job done. Here are some related professionals and vendors to complement the work of home stagers: Interior Designers & Decorators, Photographers, Real Estate Agents. The process of staging a home can be difficult for some homeowners, especially when being asked to change things you’ve poured your heart and soul into over the years; but try not to take anything personally, as the stager only has your best interest in mind and no intention of insulting your personal taste. Before you contact a professional home staging company in Cobourg, ON, make sure to consider a few things: Are you willing to change your home and take the advice of this professional to help sell your house? Do you think your house would greatly benefit from the help of a stager? How long are you comfortable having your home on the market? A staged home is likely to sell faster and, on occasion, at a higher asking price than a non-staged home. While there is no guarantee this will always be the case, it’s often true and can make the entire selling and moving process a lot less stressful in the long run. If you are selling through a real estate agent, it’s a good idea to get their opinion on whether staging your home would be beneficial to your specific situation. Find a certified Cobourg home stager on Houzz. Narrow your search in the Professionals section of the website to Cobourg, ON home stagers. You can also look through Cobourg, ON photos by style to find a room you like, then contact the professional who staged it.